They may have cost thirty grand, but this year's festive silhouettes continue a creative trend unseen in Melbourne's other inner suburbs, this time playing on familiar local sights, including the quirky sport of Trugo quietly practiced in two locations within our borders. 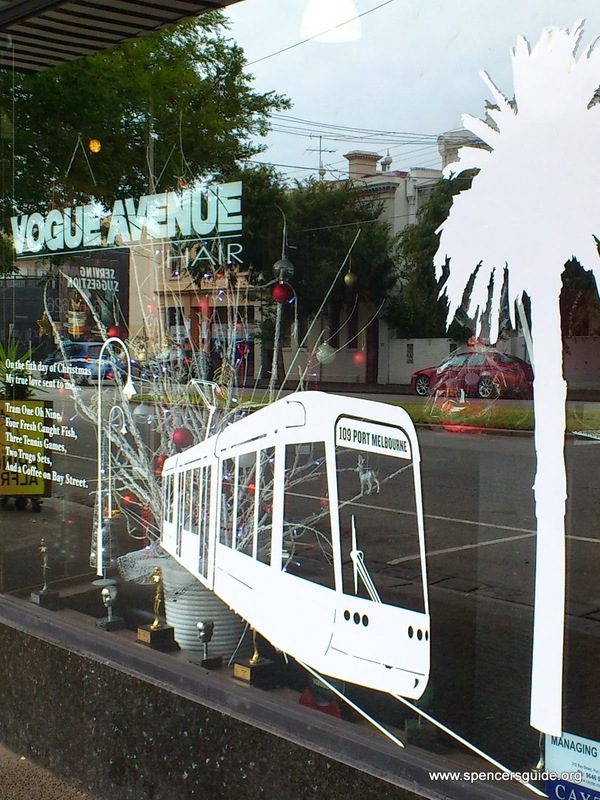 My personal favourite is the One Oh Nine on the window of Vogue Avenue, however the greatest concentration of feature displays lies within the Thomas Dux section of town. Take a peek below the fold if you can't (or can't be bothered to) find them all.